2018 was a monumental year which saw IPL deliver 256.3 tonnes of surplus products to FareShare. FareShare are a UK charity which redistributes surplus, good-to-eat food from the food industry, which would otherwise go to waste. They reach 1,500 towns and cities across the UK through their 21 regional centres, helping homeless hostels, children’s breakfast clubs, lunch clubs for older people, domestic violence refuges and community cafes. Four of our sites supply FareShare with a variety of surplus, fresh produce such as salads, stone fruit, apples, berries, citrus fruits, potatoes, onions and more. IPL and FareShare have been working together since 2011 to tackle hunger and fight food waste. 2018 saw significant developments in our activity. With support from IPL, ASDA announced an innovative and transformational new partnership between with The Trussell Trust and FareShare, that will see donations of over £20 million to these two leading charities, enabling them to develop their infrastructure and services so that they can collect, transport and store fresh food. 2018 also saw our Westry site becoming a supplier, which contributed to IPL providing enough surplus products throughout the year for an estimated 603,781 nutritious meals for people in need. “Around one in five people in the UK are living in poverty. That’s 14.3 million people whose options are restricted by their circumstances. 4.4 million tonnes of food is wasted in the UK each year. This needs to stop. 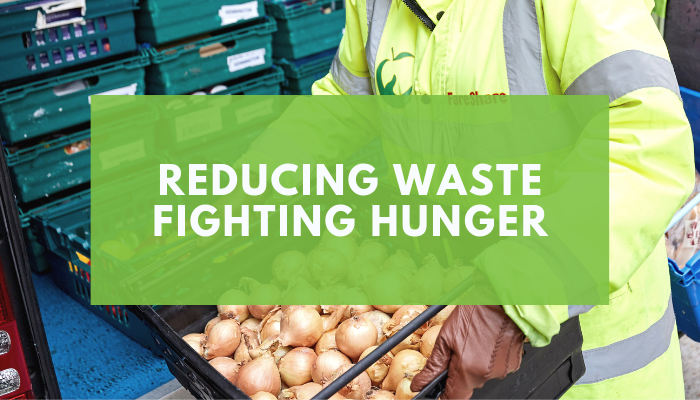 Here at IPL we have a social and environmental responsibility to make sure that any surplus food that is still fit to eat is diverted to those in our communities who cannot afford it. In 2018, we diverted 253.6 tonnes of produce to vulnerable people – a fantastic achievement.